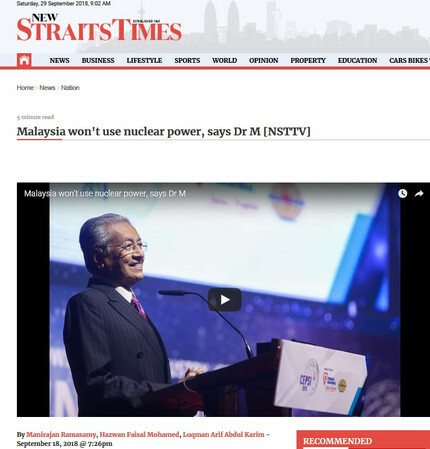 ・　KUALA LUMPUR: Malaysia will not use nuclear power plants to generate energy, as science has yet to find ways to manage nuclear waste and the effects of radiation, says Tun Dr Mahathir Mohamad. 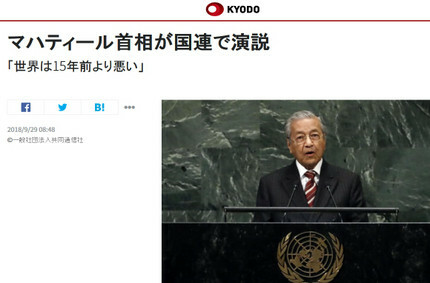 The prime minister said there have been numerous incidents related to nuclear use worldwide, such as in Chernobyl, Ukraine and the latest being Fukushima, Japan which led to people suffering from radiation. Malaysia, he said, will continue to rely on existing fuel sources to generate electricity, such as fossil fuel, coal, hydroelectric dams and wind power, which he said is stable and environmentally-friendly. “There are two things I am against. 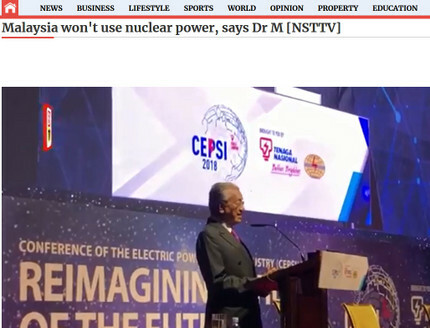 Smokers are not allowed to come near me and nuclear is not the solution to generating electricity," he said in his keynote address at the launch of the Conference of the Electric Power Supply Industry (CEPSI) 2018 at the Kuala Lumpur Convention Centre here on Tuesday.